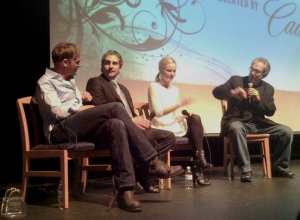 The Vail Film Festival, held annually in the small ski resort town of Vail, Colorado, fosters independent film and filmmakers through film screenings, panels, workshops, networking events, and educational projects. Filmmakers who submit will have their films viewed and selected by VFF’s Programming Committee. The Official Selection films will screen in Vail, CO, March 26 – 29, 2015. Filmmakers are invited to attend all screenings, festival parties and award ceremony. If you’re interested in submitting or would like to know more about the Vail Film Festival, CLICK HERE.